The DERE R9 Pro is 33.10cm long, 23.50cm wide and 1.70cm thick and with its 1.4kg a practical companion on the go. The laptop is completely made of metal and is therefore also stable. However, the DERE R9 Pro has sharp edges. Not only with the USB port you should be careful not to cut yourself. Also the edges around the keyboard are so hard that it’s uncomfortable to put your forearms down when writing. It can be opened with one hand, which gives a higher quality feeling. You won’t find any gaps or inaccuracies in the workmanship and even the stand on the table works without wobbling. 4 rubber studs on the underside ensure a firm stand. The display joint is made of plastic, but looks stable. It bounces briefly when touched. From a design point of view, a Macbook was clearly imitated and there’s nothing wrong with the look. The logo was kept simple and is located in the upper corner of the back. If you want to open the DERE R9 Pro, you can loosen the 10 screws on the underside and get to the inner workings of the notebook. The memory can be extended by 128GB via Micro-SD. The keyboard also gives way quite strongly under stronger pressure in the middle, which definitely represents a plus point. The volume at keystroke is within the normal range and doesn’t bother even in the quiet university library. The keyboard layout is QWERTY and can only be changed with stickers. The low weight and the size make the DERE R9 Pro a great companion with a good workmanship that shows only few weaknesses. The DERE R9 Pro comes with a Chinese power plug, but an EU adapter is included. Apart from the power supply there is only a very spartan manual, which describes more the Windows operating system than the laptop itself. The cardboard box can be used well as a transport box, otherwise also every commercial 15.6 inch Notebook bag fits. The laptop has two USB 3.0 ports, a Micro-HDMI port, a jack port, a Micro-SD card slot (up to 128GB) and a charging port. External hard disks are recognized by the device. The 0.3MP front camera is located above the display and unfortunately only takes very weak pictures. The jack connector delivers a decent sound quality and also accepts complete headsets. The two loudspeakers were installed stylishly behind narrow slots on the sides. But the technology is not the only thing that has to hide, because the sound is almost underground. Overdriven highs and missing bass are the order of the day here. A standard 802.11 a/b/n/g module was used for the WLAN. However, the speed is not quite so standard and causes annoyances with its short range and frequent disconnections. If you depend on a good Wifi, you can’t avoid a Xiaomi WIFI adapter. Around the display edges with a width of 1.3 or 2.0 centimeters were installed. Thus, the 15.6 inch display is beautifully staged. 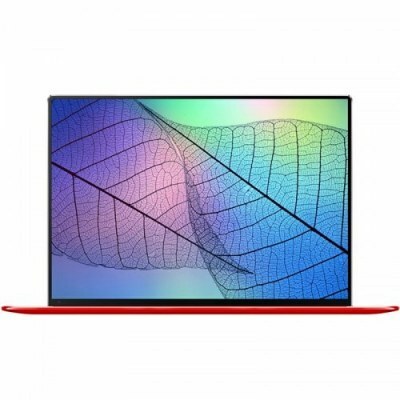 The 15.6 inch display has a resolution of 1920*1200 pixels and therefore offers a pleasant sharpness. The color rendering is surprisingly good and there’s hardly anything to complain about, even with the viewing angles. Even in stronger sunlight, the matt display can be set so bright that you can still work well. The heart of the DERE R9 Pro is an Intel Apollo Lake J3455 processor. It consists of four cores with a clock rate of 1.5 GHz each. The graphics are provided by an Intel 500 Graphics card. A 6GB main memory with LPDDR3 standard in combination with the rest of the hardware really brings an amazingly good performance. Even with multitasking tasks, the laptop rarely weakens. For normal use with office applications, surfing and videos, the DERE R9 Pro is hard to push to its limits. However, 3D games with more elaborate graphics look different. This leads to long loading times and frequent lags. The hard disk offers a storage capacity of 128 GB, but can be doubled using a Micro-SD. So there is enough space to store files and pictures on the go. Also the speed is quite good with 270MB/s in reading and 130MB/s in writing. The underside of the laptop gets a bit warmer during continuous use, but the heat development is kept within reasonable limits. The laptop can also be used on the lap without any problems under heavy load. One can clearly say that the DERE R9 Pro is a very good companion for travelling or university. The laptop performs the everyday tasks without any major problems and in combination with the 4000mAh battery it also offers enough time for working. The DERE R9 Pro comes with a licensed version of Windows 10. After the first start you only have to change the language from English to other languages. This can be found in the settings under the menu item “Time and Language”.